Change is coming. After using and carrying Dermalogica skin care we’ve decided to make a change. 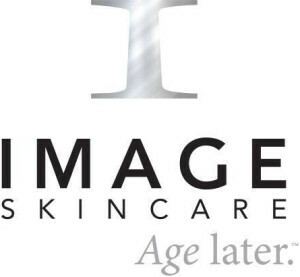 Over the next couple of weeks we will be transitioning over to Image Skincare so stay tuned for more information as developments unfold. Hey everyone Ell & Co. is looking to expand our social media presence. If you would check into the salon for your appointments and then post a review on the experience you had we would appreciate it. Once you’ve posted a review we will offer you a 10% discount on your next retail purchase. If you haven’t already liked our page we would encourage you to do that also. Help us make Ell & Co. one of the first thought of salons when people begin looking for a salon to go to. We appreciate each and everyone of our clients as we couldn’t do this without you. As spring approaches and the shorts, short sleeve shirts and flip flops make their way to the front of our closets it’s time to think about getting our toe and fingernails polished. 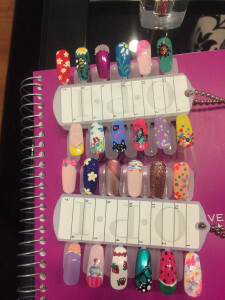 Ashley, our esthetician and manicurist, has come up with some wonderful nail art to compliment your polish. Whether it’s an individual finger/toe or the whole hand and foot nail art can enhance any desired look. Below are a few examples of what Ashley can do. If interested you can add it on to a mani or pedi or simply as a service by itself. Call or go online today to make your appointment. Let’s ring in spring with a little pop of nail art. March 2016 is Brazilian Waxing Special! SPECIAL for the entire month of March on Brazilian waxing! Ashley, our licensed esthetician is an expert on Brazilian waxing and is very quick and efficient. Never had a Brazilian, but have always wanted to try it? Don’t worry, Ashley is great at making your experience as comfortable and easy as possible. She is offering $15 off your first Brazilian wax with her, normally a $50 value, you’ll get it for just $35! Call us at the salon/spa 573-443-4949, to schedule your wax with Ashley! Ashley Rohrbach-Esthetician.